Popular Nigerian singer, David Adedeji Adeleke, better known by his stage name Davido has shared the photo a lady sent to him via whatsapp. 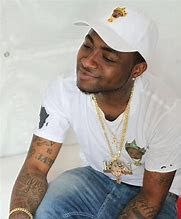 The unidentified lady sent Davido a photo of her backside in the shower. The award-winning artiste inquired who it was that sent the picture to which she responded that it was a mistake and continued typing. The act seem to be channeled at seducing the artiste to have something with the unidentified sender.